Duelists know that players draw one card at the beginning of each of their turns in Yu-Gi-Oh, but this default method often proves too slow to properly handle your opponent's offensive. Thus, a crucial component of deck-building is finding ways to continuously add cards to your hand throughout the match—often through extra draws. 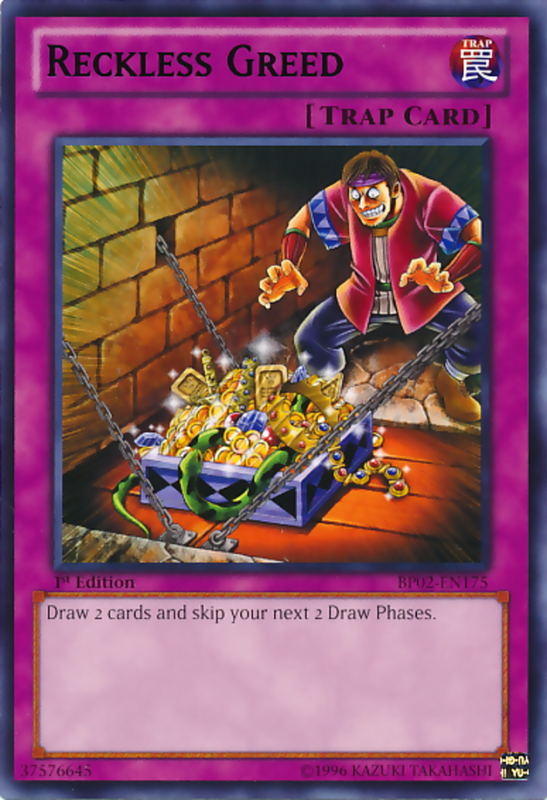 Heck, looking at the infamous Exodia cards, we see bonus draws can literally win matches without the cards even needing to be played! Now, your selected monster series may contain powerful draws specific to that archetype (Destiny Draw, anyone), but today we'll unearth ten more general draw engines to fuel any deck! 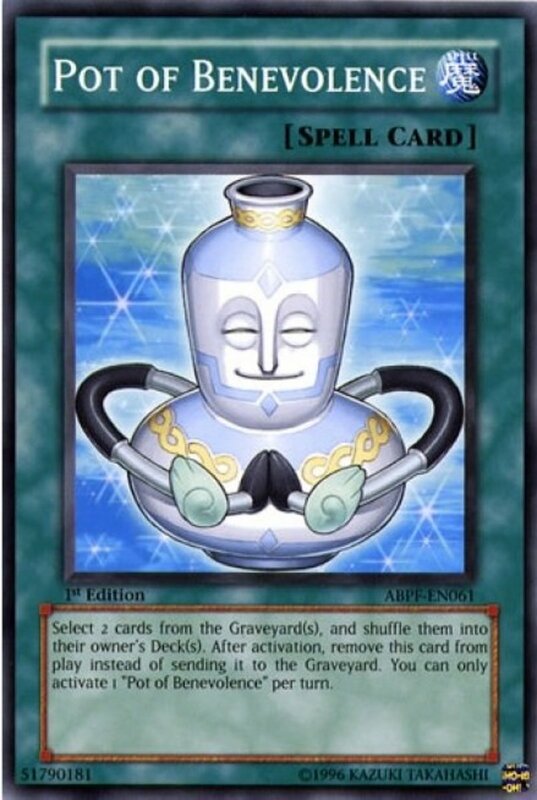 Yu-Gi-Oh has a strange fascination with granting incredible draw power to creatures based on ordinary containers, like Pot of Greed and Morphing Jar. But rather than clog today's list with these banned cards, we're going to cover legal effects you can consider using in any tournament. The pot's gone, but a shard remains. Shard shares Pot's effect—drawing two cards—except Shard has to survive two of your turns before you get them. Still, two for one is an enticing deal, and Shard works stupendously when you can stall with effects like Swords of Revealing Light long enough for those two to make a big difference. Admittedly, this spell isn't for every deck, but rare is the build that doesn't employ at least a few high-level monsters. 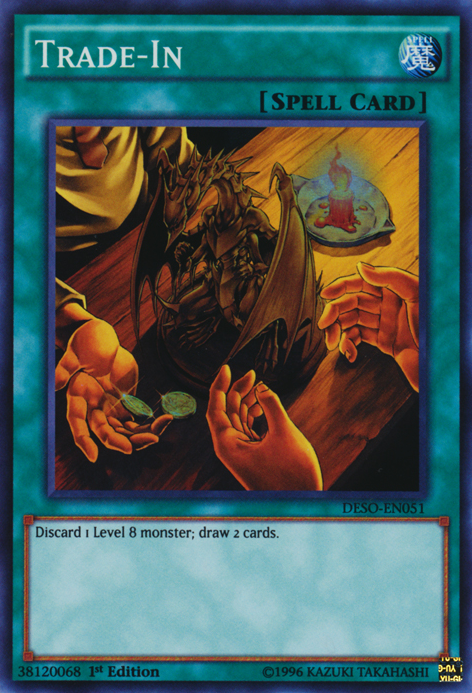 Trade-In simply discards any Level 8 monster to let you draw two cards. You're essentially spending two to get two, so why bother? Well, not only are you cycling through your deck, you're also sending a presumably strong monster to your Graveyard, ready to be special summoned with cards like Call of the Haunted. For any build that uses Levels 8s, and especially those with Graveyard-activating effects, Trade-In kills two birds with one stone. Another card that fits with most, but not all, decks, Dichotomy relies on monsters in your Graveyard having at least different three types. Luckily, with over twenty printed types, most monster series easily satisfy a threshold of three. Dichotomy's effect lets you shuffle the three unique types into your deck to draw 2. This gives you two cards for one without the waiting factor of Shard, but to compensate, your battle phase for the turn will be inactive; you won't be able to attack. Still, a formidable draw power suitable for many decks, especially when your focus is on defense and setup. Like almost every trap, you cannot play this card until the turn after it's set (unlike draw-and-play spells) but take a look at its fierce effect. 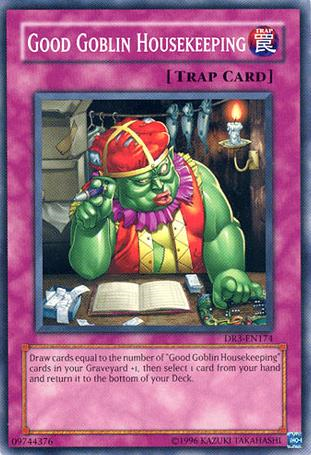 You draw cards equal to the number of Housekeeping cards in your Graveyard plus one, then put one card from your hand on the bottom of your deck. Basically, the first time you play this, your overall hand size won't change, but it will increase with the second and especially third. Additionally, whenever Housekeeping is played, you're given a chance to exchange an unneeded card from your hand for a fresh draw, allowing Housekeeping to help even with its first appearance. As an added bonus, you can trick your opponent into wasting a spell/trap destroyer when they target the face-down Housekeeping, at which point you chain and activate it before the destruction takes place. Be sure to employ search effects, like Gold Sarcophagus, to help narrow the hunt for the three Housekeepings, and watch as your hand size quickly flourishes. 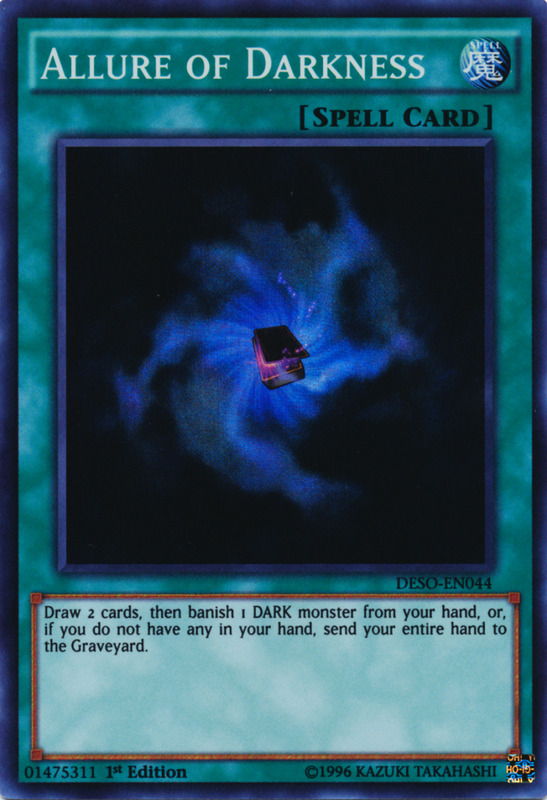 Your deck must employ dark-attributed monsters for this card to function. Still, dark is arguably the most common attribute (there are only six main attributes, far less than types), meaning many a build can be tempted by darkness. A simple card, Allure lets you draw two, then you must banish a dark monster from your hand or be forced to discard your entire hand. 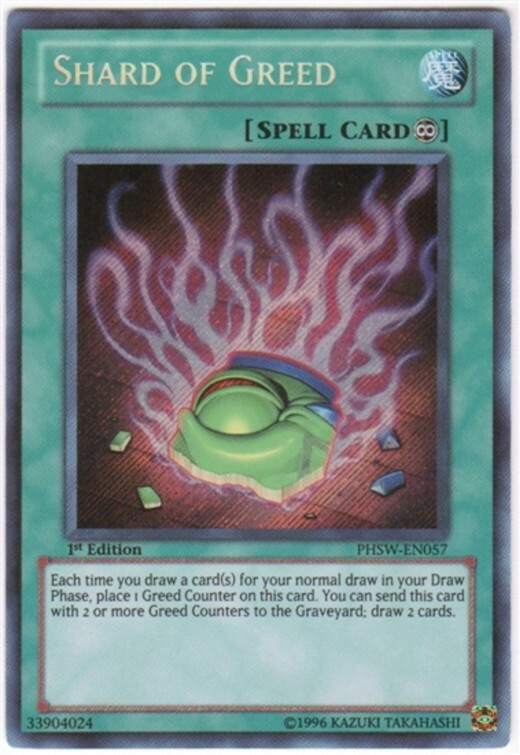 Unfortunately, banishing won't set up for Graveyard recovery, but the sheer simplicity and effectiveness of the card help it stand out. For Allure's extra draws, you need neither wait nor first fill your Graveyard, letting you access it without condition. Plus, a small number of effects combo with banished cards, meaning being removed from play can occasionally help set up a combo. This amusingly-named monster also took a spot in my countdown of the best machine-typed monsters, and for good reason. Similarly to Dichotomy, it must be employed in your first Main Phase, though this time it doesn't have to be the first action you take. 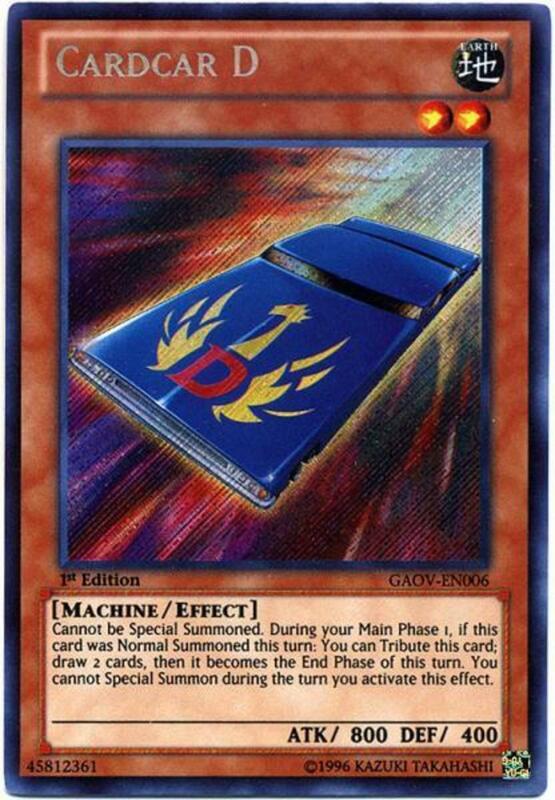 For the price of immediately jumping to the End Phase and being unable to special summon monsters during the turn, a normal summoned Cardcar D can tribute itself to draw two cards. Yes, you're dealing with the listed disadvantages, but you're up two and have another monster in the Graveyard, great for effects like Dichotomy or Solidarity, making this one a definite winner. Although Kuraz belongs to the Monarch archetype, its effect does not rely on its brethren whatsoever, making it compatible with any deck. As a Level 6 monster, you'll need to tribute one creature to normal summon it. 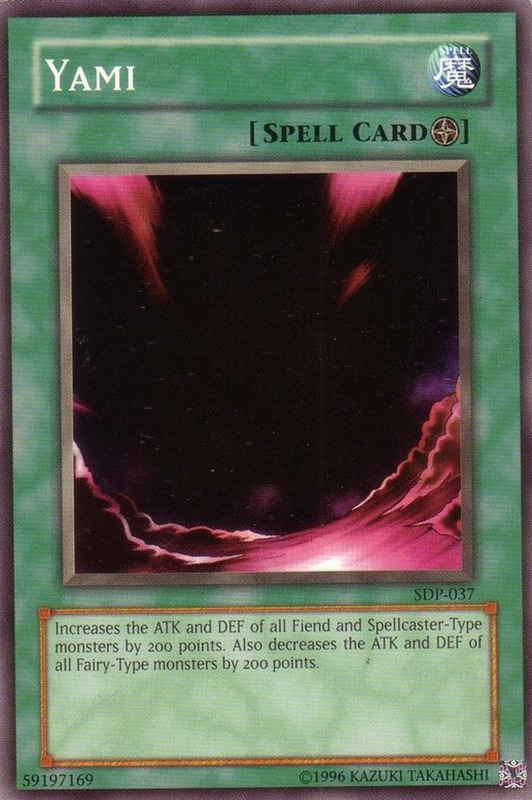 When you do, you can destroy up to two cards on the field (including yours), and for each card a player had destroyed by this effect, they draw one. Thus, Kuraz can serve as a removal, a draw engine, or both! 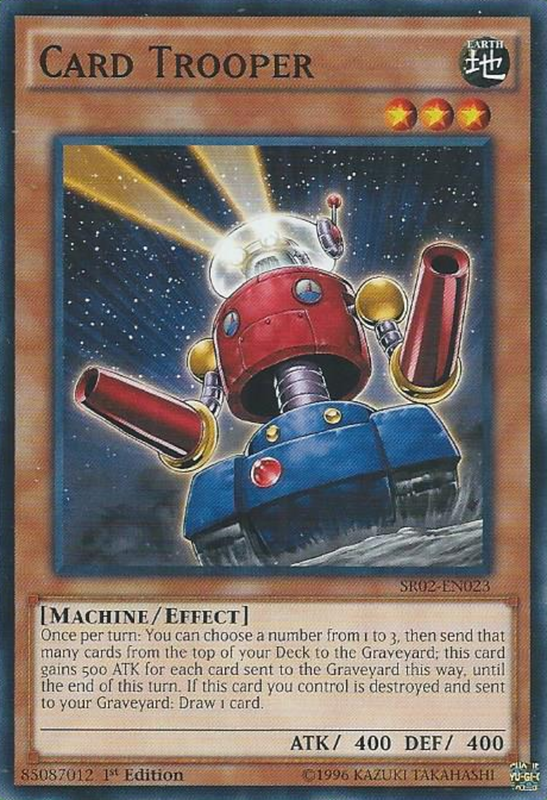 Unfortunately, it can't attack the turn it uses its effect, but activate it to destroy your unneeded field cards and find fresh options. 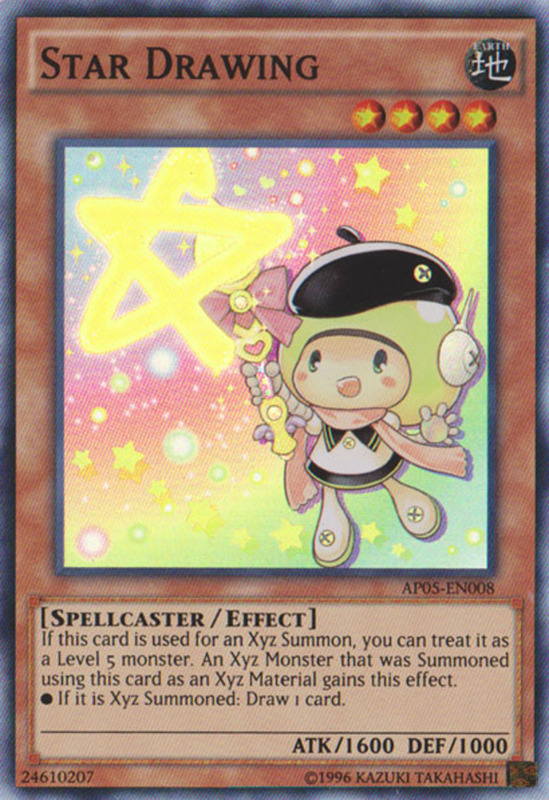 Pendulum monsters also make great targets thanks to their ability to be resummoned. Kuras also has strong ATK, and because its effect triggers upon summoning, you don't have to particularly worry about keeping it alive. 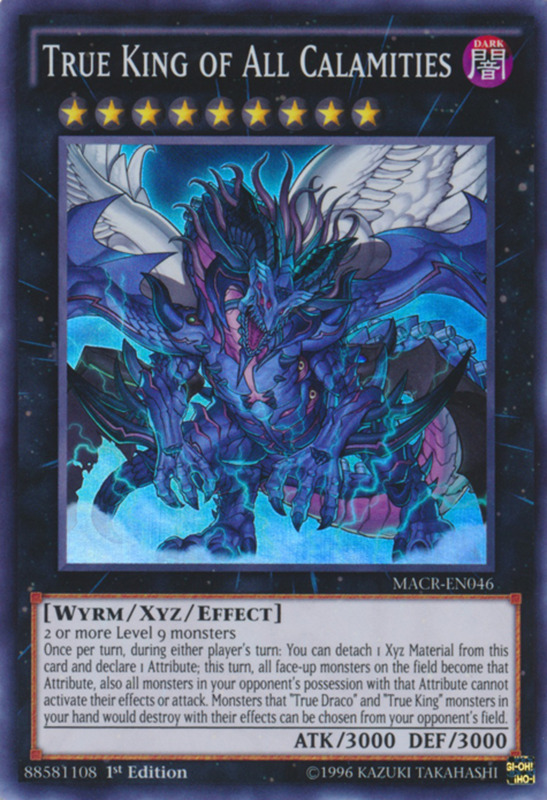 The card also can serve as fodder for a Rank 6 xyz summon. Like Good Goblin Housekeeping, this is a trap that stacks well with each additional copy of itself. When activated, you immediately draw two cards, but you must skip your next two Draw Phases. This means that ultimately, your overall draw number doesn't change, but you gain access to the cards sooner, providing an advantage. Things go from tempting to amazing when you use multiple at once. Even if you trigger all three Reckless Greeds simultaneously, you're still only going to skip two Draw Phases (not six), and the incredible hand afforded should decimate your opponent before they can counter. As of this writing, Card Trooper is semi-limited in official play, meaning you can only place two (rather than the usual three) of it into your deck. 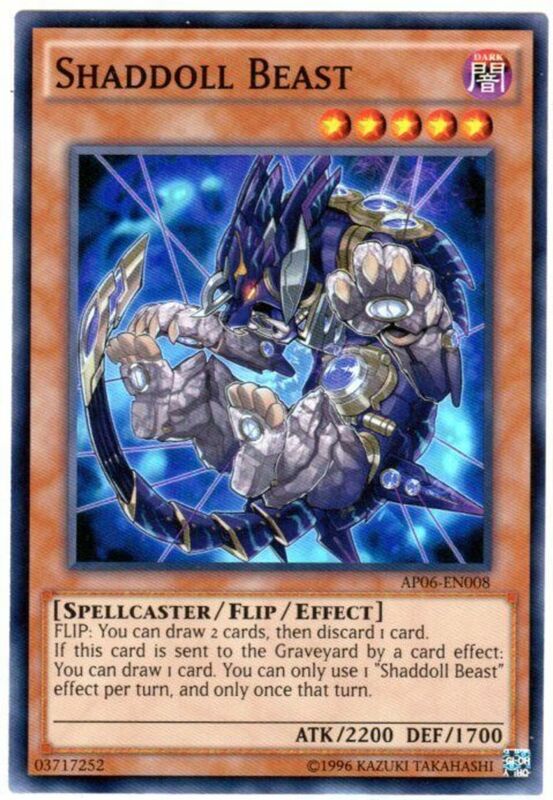 It's also a fairly simple monster that doesn't need tributes to summon. Once per turn, you can choose up to three cards to send from the top of your deck to the Graveyard. Each boosts Trooper's ATK by 500 for the turn (for a respectable maximum of 1900), and helps fill the Graveyard. That's all great, but the draw power here simply stems from Trooper's demise: when it's destroyed, whether by card effect or battle, you draw one. A stellar addition, Trooper does it damage, fills your Graveyard, then replaces itself as it exits. 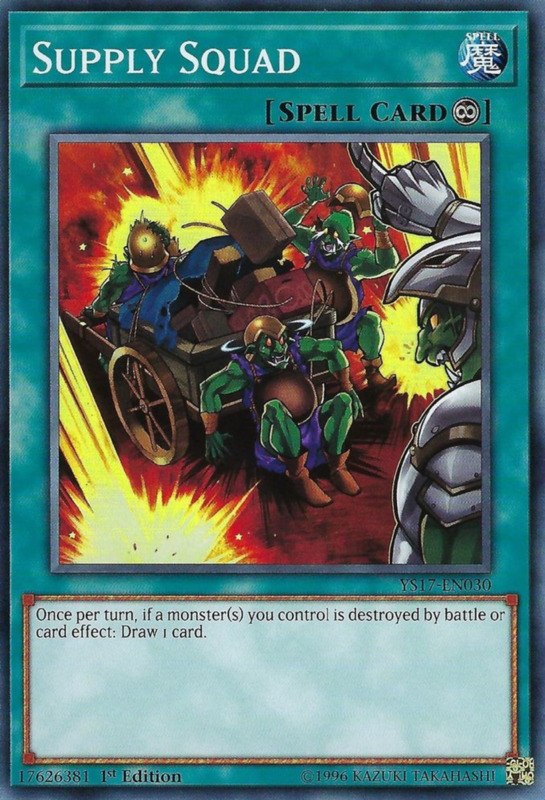 Hands-down my favorite card here (ironic, considering it fills hands up), continuous spell Supply Squad once per turn has you draw when a monster you control is destroyed. 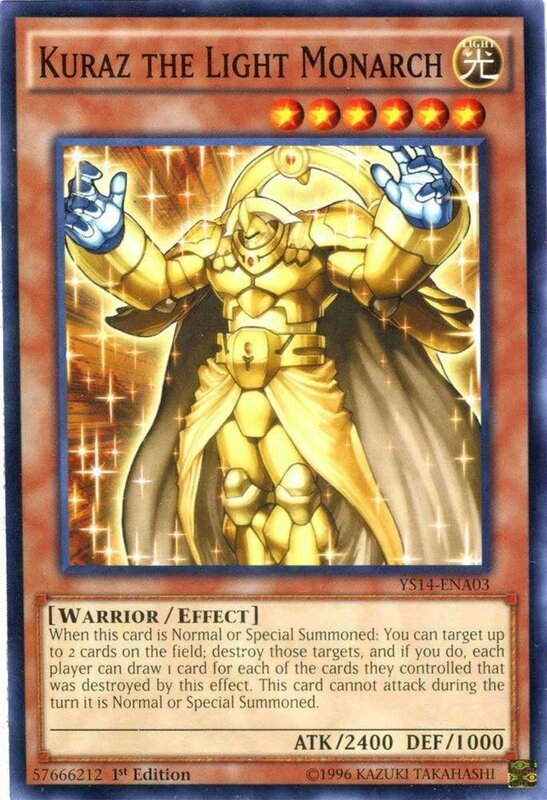 This can trigger on both your and your opponent's turns, applies for battle destruction as well as effect, and actually invites instances where you'll attack knowing that your monster will be destroyed just to get the draw. Multiple Supplys can activate at once too, meaning you're free to toss three out there, blow up your own cards, then watch your opponent's jaw drop as you're soon playing with half your deck in hand. Simple, powerful, incredibly versatile, Supply earns a spot in the vast majority of decks I construct. These cards will hasten your reinforcements by refilling your hand, but be sure to examine your archetype's draw power and gauge how much outside support they'll need. Additionally, keep cards that blend with extra draws (like life point-regenerating Solemn Wishes) in mind to form some impressive hand advantage combos. But for now, vote for your favorite entry, and I'll see you at our next card countdown! Pot of Desires is definitely great and will probably make a follow-up countdown if I ever make one. Not sure I'd call Upstart Goblin "the best", especially since it's currently limited, but it's certainly helpful in many decks. Once again, I excluded banned cards to give players actual ideas for their tournament-legal decks. 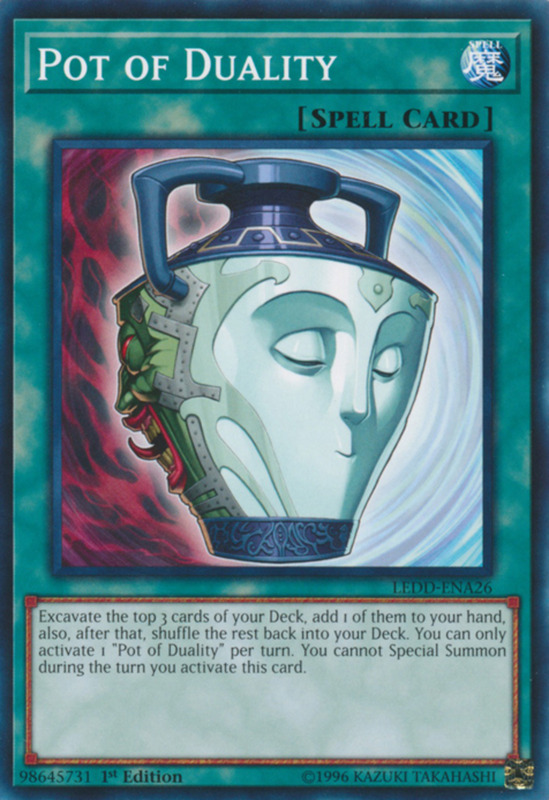 "... like Pot of Greed and Morphing Jar. But rather than clog today's list with these banned cards, we're going to cover legal effects you can consider using in any tournament." Definitely! The Worm monsters were once a personal favorite, and with Future Fusion legal again, Worm Zero helps them maintain a fighting chance in a modern duel. Supply squad works well. 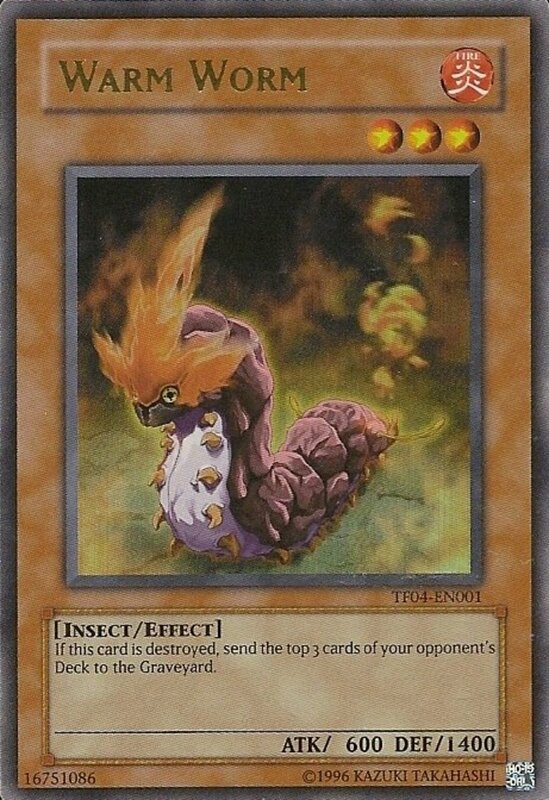 If there was a spell card with these effects that allowed monsters to switch attack and defense points instead of position and increase their attack by 500 and def by 500 and third effect negate all traps/spells/effects and automatically destroy monsters whose attack is higher than my monsters than I would be heartburned. Just a matter of finding the right cards that can work with my Reptiles. The Link Subterror card, for example, -Is currently the only one I could find that works with Worms since Flip effects are also what Worms do, it's also neat that I can call Flip cards from the deck OR graveyard and add them to my hand when I meet the conditions, same with placing one Flip card from the deck to GY, making cards like Worm Victory easier to place on the field. Still got a long ways to make them good again, but they certainly have potential even after the years passed by. I find that they can still dominate the field once you get the right cards for the job, and now that Future Fusion is off the ban list, it makes Worm Zero so much better even tho I have to wait an extra turn. Glad to help! And a modern Worm build? I'd be interested to see how an aging archetype such as that (once a favorite of mine) fares against current decks if well-made. Ban lists are interesting, as players both love them (for putting an end to overpowered opponents) and dread them (for instilling a fear of disrupting the deck you spent hours making). Luckily, I'd say Konami has done a good job regulating the list throughout the years. Yo, where is Jar of Greed!? Just kidding, that's the total opposite of all of the above cards mentioned on this list. This list also helped with my deck, one of the main downsides is that the overall speed is slow unless I can replenish my hands with cards I need. It also doesn't help that I'm stuck at having 45 cards total in my main deck, I run a Worm deck and I run a decent amount of Worm monsters (23 total) so sometimes getting my Queen or King can be difficult unless I have Gold Sarcophagus or Imp King summoned at the turn. Which leaves me with two different cards on the list that could work well for my deck: Trade-In and Reckless Greed. Ultimately I'm gonna put my money on RG, it helps with Illidan getting counters he needs to remove whatever my opponent haves on the field, and I run Twin Twister along with other cards to help mill, so Trade-In might be overkill unless I switch out for Mystical Typoon Pool. That being said, both the Queen and King are level 8 monsters and I run 3 of each, so it wouldn't be bad to have like 1 or 2 TIs' in the deck if I end up liking it better. Either way, I appreciate this post, it has got me a step closer to making my Worms more viable from being away the game for a long time. Now I'm off to playtest some more! Hmm, I remember the good old times, back then very few banned cards at my place were used. So many familiar cards in this article. Great article, I really enjoyed it. 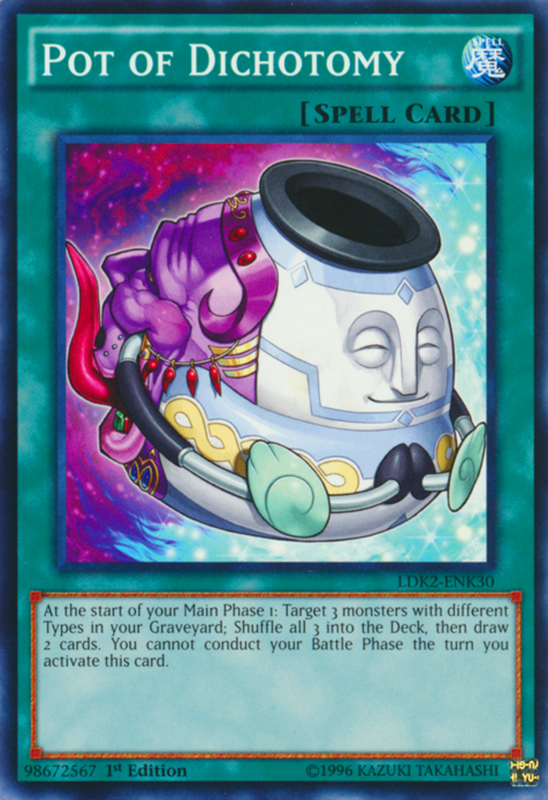 A good combo would be with pendulum magicians, supply squad and kuraz the light monarch in pendulum magicians could mean an insane amount of draws and searches. This article really helped me with finding some unique combos, thank you.